Oregon, officially nick named as Beaver State, is one of the largest (9th in terms of area) and mildly populated states (27th in terms of population) of US nation. 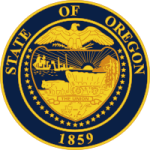 1859 was the beginning for Oregon State and marked its admission as 33rd state under US union. “Founded over Slavery, raised from Disputes and state of asylum” is the perfect association for Oregon, which also describes the establishment of Oregon State perfectly. Agriculture industry, Wine Industry and Timber Industries have flourished in state since ancient times. These industries, along with health care industry, have contributed immensely in providing employment opportunities and generating greater revenues in Oregon State. What is Oregon Board of Nursing and what are its responsibilities? Oregon Board of Nursing was established back in 1911 after enactment of Nurse Practice Act in Oregon State. It serves as well regulated and organized organization, which enforces various nursing laws and policies in Oregon. Oregon Board of Nursing has prescriptive authority for licensing and certification of various nursing professional in Oregon. Establishing standards for various nurse assistants in Oregon State. Investigation of registered complaints and acting against the guilty professionals. Reviewing the nursing programs and training schools of Oregon. Enforcement of nursing and administration laws. Maintaining various board records and annual scripts. Regulating and operating the board funds and revenues generated from licensing fees. Who are the board members and associate members of under Oregon Board of Nursing? Oregon Board of Nursing regulates various nursing professional working in Oregon State. The working tenure is 3 years for each board member and they can be reappointed on the same board by the higher officials. These board members are appointed by Governor after consenting with State Senates. Except the Public member, all the board members are related to nursing field. All the nursing professionals including the registered nurses, LPN/LVN, CNA, CMA, HHA, and APRN etc are associated board members. Oregon Board of Nursing keeps a track and record of each of the licensed and unlicensed professional in Oregon State.